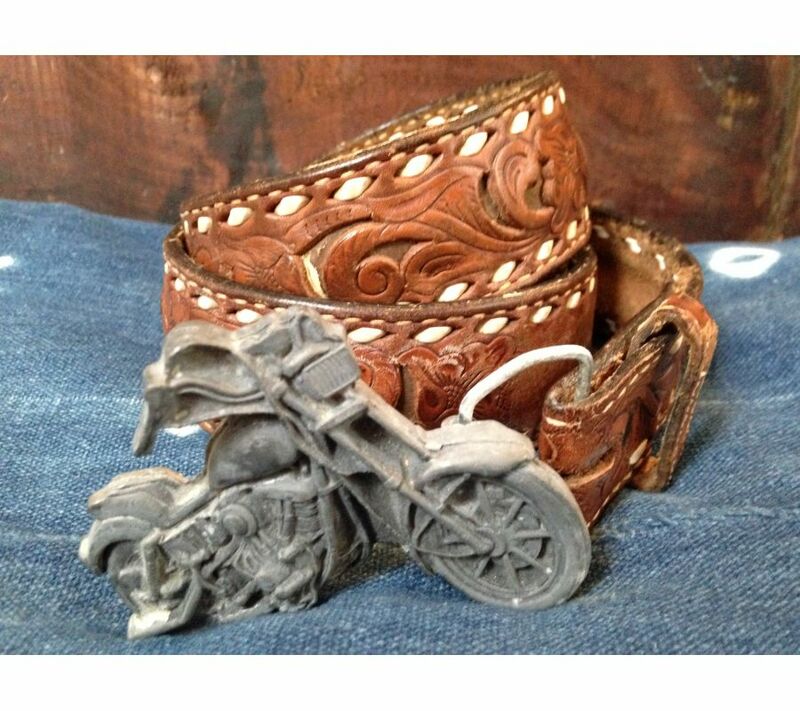 70s tooled leather belt with vintage motorcycle buckle. Leather's in great condition. Nice wear and patina.